The Apple Watch is a great way to track your daily fitness, movement and workout routines. Because of its onboard sensors and hardware, it can track a variety of different workouts accurately — including your distance, heart rate, and calorie count. 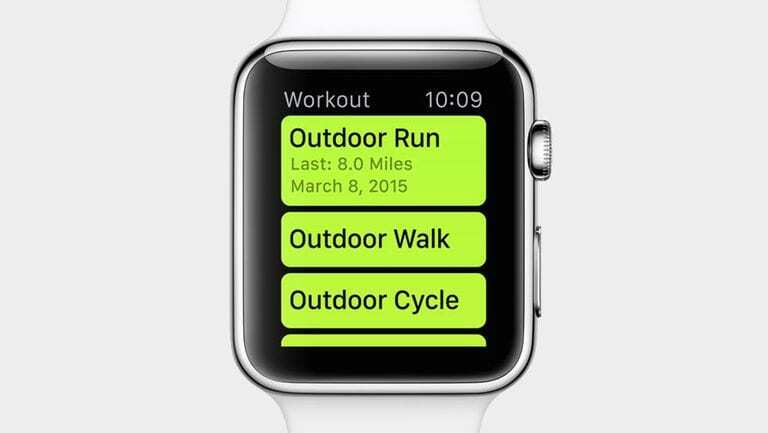 You can even set calorie, time or distance goals for certain workouts in the Apple Watch Workout app. Unfortunately, if you’ve tried resetting a set goal in the Workout app, you might have figured out that it isn’t quite as easy as it seems. You may have set it intentionally, or you may simply have noticed a calorie, distance or time goal show up for a workout without any direct input. Either way, you’ll notice that this workout goal is incredibly persistent. Even if you try to change it, it’ll likely reappear the next time you open the Workout app. That’s due to a couple of reasons. When you use the built-in feature for starting a new workout with an open goal, for example, it’ll start a new workout with that goal rather than edit the goal for the current one. Similarly, the Workout menu will prioritize the workouts that you do most often — with their previously preselected goal attached. Unfortunately, there doesn’t seem to be a baked-in option for manually resetting goal types on established workouts. This has been well-noted in various Reddit and Apple Support forum posts. There’s no single feature or button to reset individual workouts (or all workouts) back to a single calorie or distance goal. On the other hand, there does seem to be a workaround for “resetting” your workout goals. Here’s how to do it. Scroll around and find your preferred activity. Next to the activity, there should be a three-dot in a circle icon. Tap on it. Change your goal type for your preferred activity to Open / No Goal. Of course, at this point, it’s worth noting a couple things. Namely, this might not seem to work at first. This isn’t necessarily “resetting” your workout calorie goal. As we mentioned earlier, it’s simply creating a new workout of that same type with an open goal. Because of the way the Workout app learns and remembers preferences, you might need to repeat the above steps several times. According to some users with this problem, you just need to repeat the workout with an open goal two or three times for it to appear as a priority option in the Workout menu. But the Apple Watch should eventually learn your preference for an opened goal for that particular activity type (with the appropriate distance or calorie goal). Here is How you can change your “Move” daily goal on your Apple Watch. You can change the any workout calories by using the steps above. It’s not clear why this is, but Apple could change it in a future version of watchOS. If you’d like a “goal reset” feature in a future version of watchOS, you can submit feedback to Apple and ask for it at this link. I would like to see a goal reset/update on the activity app for my Apple Watch.